Three people assemble to reveal four cards from the third wave of Transformers TCG, with bonus discussion on the second starter set out in May, and pre-bonus discussion on the Swap Parts Infinity Engine! Click on the bar to see the revealed cards and join to the discussion on the 2005 Boards! TFcon LA’s pre-opening pre-ceremony features WTF@TFW, Steel City Bots, Gamepads Unplugged, Figure Knights Theatre, and The Syndicate. 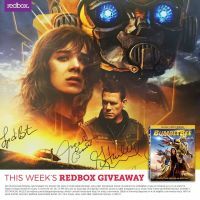 Redbox (home video rental and streaming company) has started a give-away campaign that gives you the chance to win a Bumblebee Blu-ray Combo Pack & a Poster signed by Bumblebee Cast. How to participate? Very easy. No purchase is necessary. Just comment on the respective Redbox Instagram post what car or vehicle you’d want to transform into and you will get a chance to win the aforementioned prizes. The poster is signed by Hailee Steinfeld, John Cena, Jorge Lendeborg Jr., Angela Bassett and Lorenzo di Bonaventura. You can post your comments until April 28, 2019. Good luck to everybody! Click on the bar to check the promotional images and then let us know your impressions on the 2005 Boards! Review our coverage of this upcoming series here, then join in the discussion on the 2005 boards! 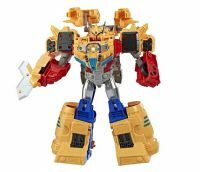 An Amazon UK listing brought to our attention by TFW2005 member Nevermore includes new product images of the Cyberverse Spark Armor Ark Power Optimus Prime. This Ark Power OPTIMUS PRIME figure is an impressive 12 inches tall and features easy TRANSFORMERS conversion for kids 6 and up! Convert OPTIMUS PRIME toy from truck to robot mode in 11 steps, then combine with his Ark Power vehicle to armor-up to convert him into his powered-up mode: Ark Power OPTIMUS PRIME. Compare these finished toy images to the official renders from our 2019 Toy Fair New York coverage for more details, then chat it up on the 2005 boards! 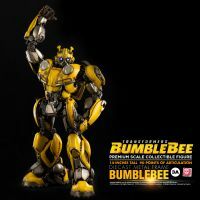 World Of 3A have update their website with official HQ images and description of their Bumblebee Premium Scale Action Figure, and we are sure fans will be really pleased with the look of this product. But this description is not enough to reveal all the amazing detail, articulation and finishing of this rendition of Bumblebee. Click on the bar and let your optics enjoy all the images of the figures and accessories. After that, let us know your impressions on the 2005 Boards! Solicited here for a release in October is the first hardcover collection for the new Transformers ongoing, collecting the first 12 issues of the new series. Check out the solicits and some of the cover artwork attached to this post. 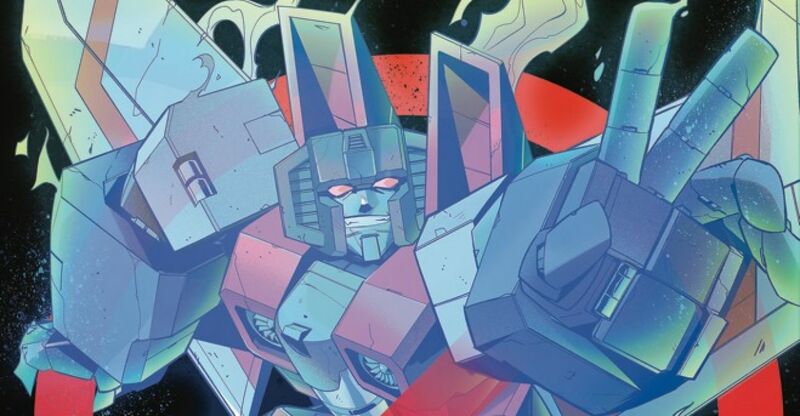 IDW has announced via their official website that their 2019 Transformers Issue #1 is getting a second printing. We hope the reception of this new title continues growing among fans. If you missed the first issue, now it’s your chance to grab it. You can read the full announcement here, and then join to the ongoing discussion on the 2005 Boards! 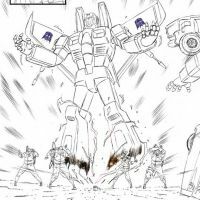 Tom Waltz, IDW manager and senior editor, has shared via his Twitter a sneak peek of IDW’s New Transformers Comic Series Issue #4. Transformers #3 is out at comic stores this week, and Mr.Waltz is treating us with a textless page of the the next issue #4. We can see some of the key characters in the story, and Bumblebee is just sitting with his hands over his face. A great sorrow or lost is coming? Click on the bar to see the mirrored image and then let us know your expectations on the 2005 Boards!